Since Apple re released the iPod U2, I knew that I had to re release one to. This upaded version from the original version works just like the other iPod video skins. Some little bugs have been fixed and it was also been optimized for WindowsMediaPlyer 11. The fuctions are listed below. 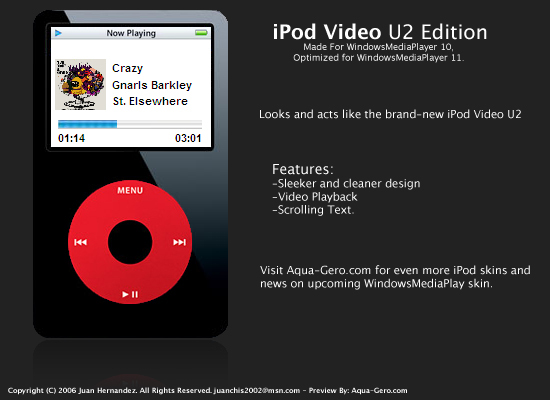 Hope you enjoy the new iPod U2 Skin for WindowsMediaPlayer. Very nice. Clean and works well.